I've decided to take a couple days off from blogging as I'm feeling just a tad bit burnt out, overwhelmed, and somewhat sad around the edges. With all that this seemed like the perfect time to practice stepping away from the blog for a bit being as how I do not intend to blog regularly - if at all - when I head west later on this month. So, while I try to get the rest of the house organized and maybe finally paint the kitchen, I am going to leave you with another of Amanda's line drawings. I've decided the kid has a definite gift for the macabre ... Vincent Price probably would have loved her! Everyone take it easy and I will be back and try to catch up to all of you in a couple of days. I love Amanda's macabre style! 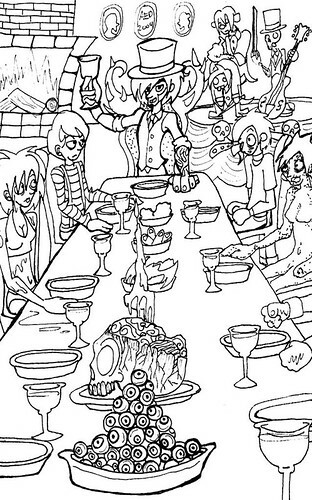 Just look at the characters about to dine eyeballs LOL. What a great drawing..Amanda certainly has an interesting take on things. That platter of eyeballs (sauteed?) looks yummy. Enjoy your time to yourself, Linda. Royalty needs R&R too! 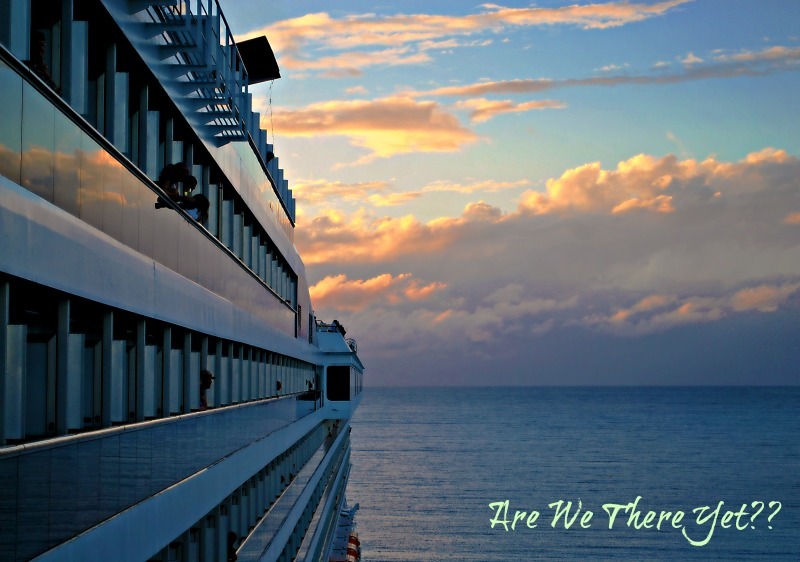 we all need to take time off every now and than.see ya when you get back. WooHoo on Amanda's drawing. That girl sure is talented! good for you that you that you can recognized a need for a break. Recharge and Renew. Take whatever time you need to renew and refresh. I have to every now and then. Amanda is quite imaginative and talented. She has a sort of Tim Burton style. Maybe she'll be rich and famous one day! An illustrator for Hollywood? Take it easy, Linda. Take good care of yourself and do things that make you feel loved and happy. You so deserve it!! I wondered how you were doing when you missed yesterday's scenery with Lee. It's been a horrid week, I know. Lots of sadness and it tends to bleed over. Rest your spirit and mind. I don't think your poor body will ever get rested!!! I don't get here often, but enjoy your break. Not only Vincent Price. She is really talented. You must be so proud of her. Enjoy your break and hopefully a little piece of mind. Amanda's style is so good. Enjoy your rest and come back real soon. Enjoy yourself and we look forward to your return. I thought I was the only one just weary of moving and work. Work has been so busy and I'm still doing one carload a night from the house to the apartment. Take some time...get outside and come back with great photos. Amanda is amazing but I don't have to tell you that you already know. That's quite a well-drawn and stylistically original image - it takes that kind of talent to go places, so kudos to Amanda. By the way, I just read your latest post and I agree that there's a lot of negativity going around already so you're wise to hold back even though there are certain things you'd like to say. Not that blogging shouldn't be an outlet for those things, but it has to come in the right time and context.